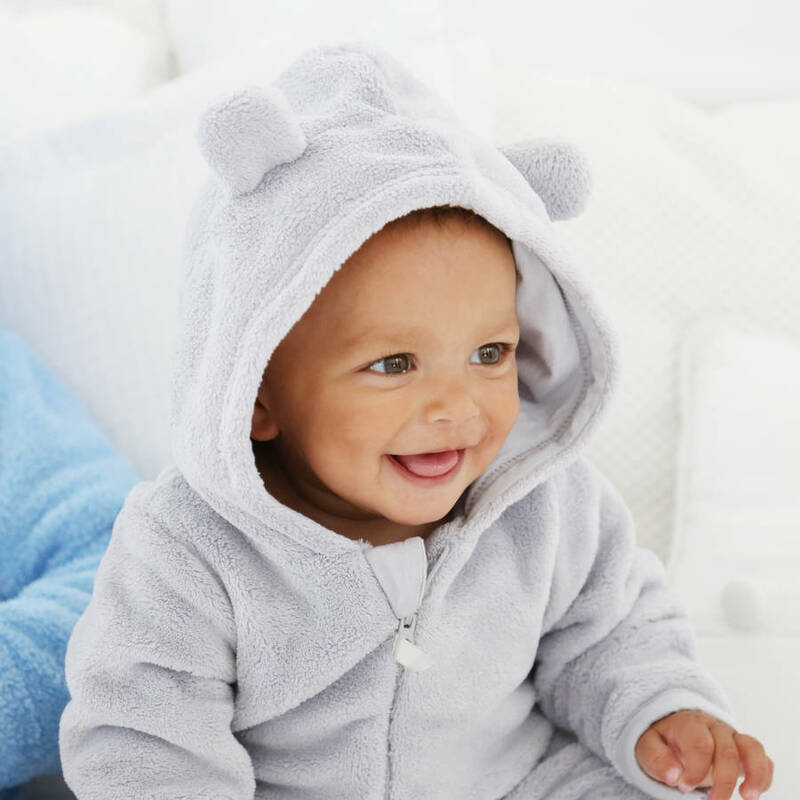 Ready for your little one to be the cutest they’ve ever been? Our bear fleece onesie will achieve this, and so much more. Made from delightfully soft fleece in a contemporary shade of light grey, this adorable gift is a perfect Christmas present for boys and girls alike. The fluffy ears add an extra touch of cuteness, and you can personalise it with their name for a truly unique garment. Just send us their name and we’ll embroider it on the front for free. Care instructions can be found on the label.